Make a statement with the Bolle Tela Chandelier from Gallotti and Radice, Italian glass designers who have been developing their quality craftsmanship and style since the mid 1950’s. 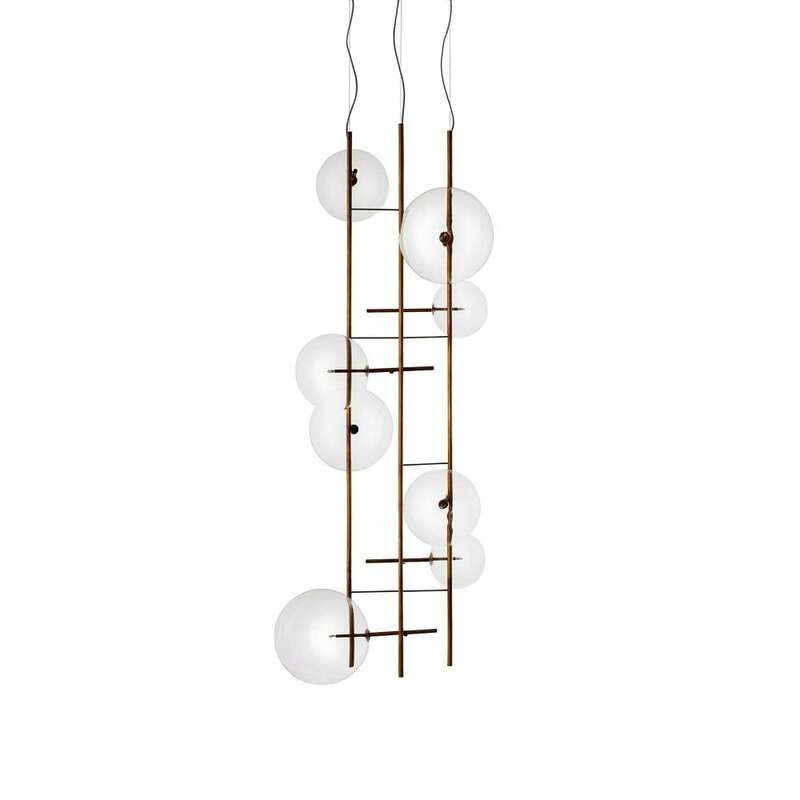 The exquisite transparent blown glass spheres, and naturally spotted and irregular hand burnished brass finish makes the Bolle Tela Chandelier a versatile choice for a broad variety of interior schemes. Supplied with a 4metre cable, the Bolle Tela Chandelier will effortlessly enhance double height spaces in contemporary offices, barn or church conversions, accentuate architectural features in industrial buildings or add an unexpected modern feature to a traditional listed building or renovated chateau. halogen point light (160 Watt) or LED (12 Watt). 8 transparent blown glass spheres. Metal parts in hand burnished brass. The hand burnished brass finish looks naturally spotted and irregular. Supplied with cable 4mt long.